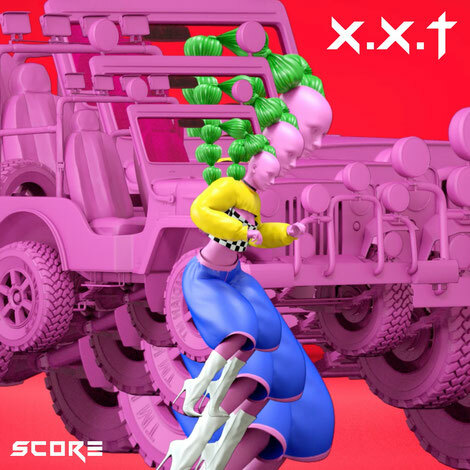 LA-based X.X.T trio is fronted by Psycho Flower MC and features the talents of GR1M3Y-T and G3NR8TR, two anonymous members from another project. 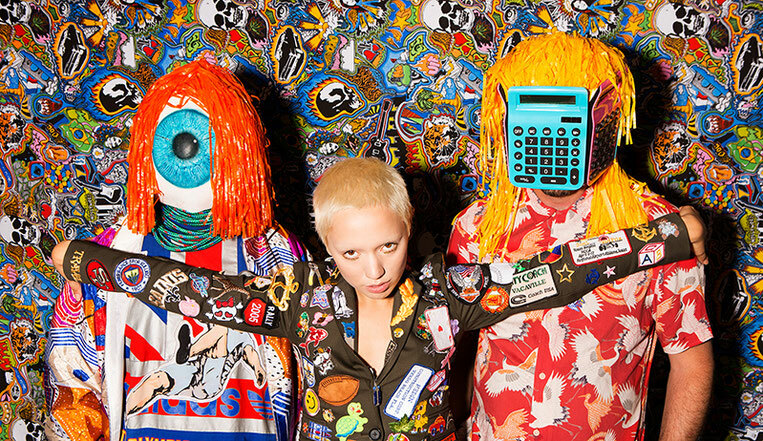 A one stop shop of producers, DJs, graphic designers and video makers; the three characters of X.X.T are their own Warhol Factory 17.0—rising out of LA’s cliqued out freak scene with wild beats and off-kilter song-craft. The music video for their last single, ‘Illuminaughty’, was a trippy late night evangelical infomercial for aerobic techniques that can change your life. Following in the spirit of their weird and wonderful world, they have now teamed up with artist/ animator Randy Cano and editor/animator Dennis Sengthong to create a technicolor of sports imagery and 3D animations for their latest single ‘Score’. Cano and Sengthong’s visuals will probably make you feel like you’ve just downed a bottle of caffeinated cough syrup with a side of laughing gas. The track’s energy is an adrenaline rush, and may have already set itself up as a contender for 2018’s Sports Anthem of the Year.